A renewed national effort is needed to manage Australia’s water resources in the face of climate change, population growth and changing community expectations, according to a recent Productivity Commission report. “It is critical that governments act now given the urgency of the challenges facing the water sector and the opportunities for increased productivity and efficiency. Doing nothing, or waiting until the next drought, could create a major legacy of future problems,” the report stated. The report praised the contribution of the current National Water Initiative (NWI) – introduced in 2004 – to effective water management, but warned against complacency. It recommended governments make a commitment to a new NWI through the Council of Australian Governments (COAG) by 2020. According to Chief Executive of the Australian Water Association (AWA) Jonathan McKeown, the report’s call for increased clarity on economic regulation of water and a clearer framework through a renewed NWI could be positive for engineers – allowing them to better understand how the framework and regulations relate to their projects. The AWA submission to the Productivity Commission recommended the establishment of a National Water Authority to develop and manage a National Water Plan. This differs from the Commission’s NWI recommendation as it calls for an independent statutory body. This body should have the enforcement powers to ensure nationally consistent interpretation of frameworks for water trading, water resource planning and urban water. The National Water Authority should also have the power to regulate incentive payments to the states and territories to implement the required reforms, McKeown told create. He also suggested that creating and implementing a National Water Plan could be funded by the added economic value these reforms would deliver. As an example, McKeown pointed to the 1994 National Competition Policy, which generated an estimated $80 billion in value for the Australian economy via increased productivity. “When you do these national reforms, they have to have a clear dollar value to justify spending money to achieve them,” McKeown said. The Productivity Commission needs to recognise that water utilities do more than just provide drinking water, said the former Chair of Engineers Australia’s National Committee for Water Engineering Toby McGrath. The final report acknowledged the point made in Engineers Australia’s submission that dams have multiple benefits – including water supply, recreation, hydro power, firefighting and flood mitigation. “You can often get a better outcome by designing dams to meet all these purposes,” McGrath said. The pressure on distribution networks and dams for fire water supply and flood mitigation services is growing due to increased housing and population density. But the report did not include provision for charging and management frameworks to ensure these services would continue to be effectively provided to the public, McGrath said. “Only when [fires and floods] happen are they noticed. The drivers to keep those services in place are weak – there’s a strong need for good systems and regulation to keep them in place,” he added. 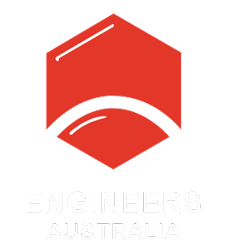 To resolve this issue, Engineers Australia’s National Committee on Water Engineering recommended a comprehensive review of how public utility services will be safeguarded by the regulatory framework, and sensible financing and management arrangements. The Engineers Australia submission also highlighted the importance of maintaining the water gauging network – which provides long-term data for water resource management planning – and making the data more widely accessible. Currently, the data is held by a variety of authorities, including local councils, water authorities and the Bureau of Meteorology (BOM). “[This is] odd in the modern internet age; there’s no reason why we can’t have an integrated online database,” McGrath said. He added that the BOM had expressed interest in meeting this need by developing their Water Data Online service into a comprehensive portal to the nation’s stream gauging records. “Gauging data is one of the key sources for evidence-based decision making in water management. Through the BOM’s Water Data Online, service we are working to provide as much of Australia’s gauging data as possible, backed up by a data service,” said Dr Robert Argent, General Manager Water at BOM. To follow up on the report and strengthen the Commonwealth government’s resolve to implement change, the AWA, Engineers Australia and other bodies need to engage with industry and the community on the importance of water reform. “[There’s] generally a real appetite for reform, particularly in urban areas. But because it’s not registering as a major political issue, it might be pushed aside,” said McKeown. What do the 2019 NSW election results mean for engineers?